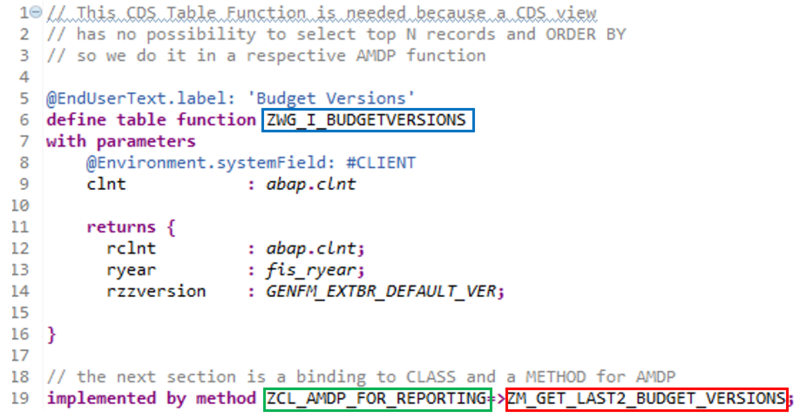 The solution is as follows: CDS Table Function calls a method in an ABAP class, this method executes a SQLscript on HANA DB and returns the data back to the CDS. From that point on, you can use it in further modeling, i.e. other CDS views, filling derived parameters, etc. The binding parts are highlighted in the same color on both CDS and CLASS sides. Also, important sections, specific to AMDP are commented respectively. 1. Create a CDS table function with expected output definition, pointing to a dummy class & dummy method. Nice! I sometimes teach that course, too. Hope you enjoyed it. CDS lacks many statements, TOP n, subquery, select single, limit. 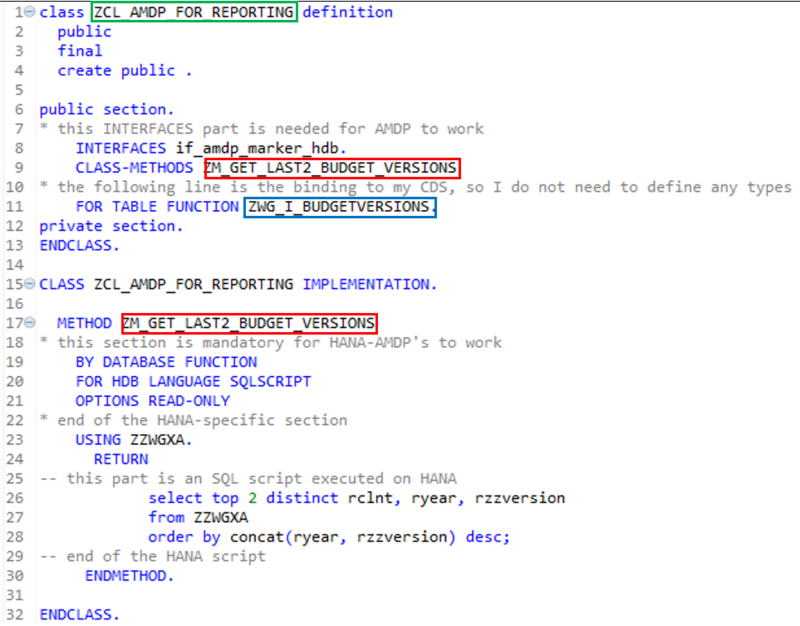 Its really ODD to write a class, attaching the same to CDS function table just to get a single record. Why it cant just support LIMIT or SINGLE statement? If it requires to write Open SQL in a class, then why not to drop cds and write open sql in odata data provider class? Much simple, isnt it? well, CDS offers quite more: push-down of execution to HANA, DCL Access Controls down at DB, tons of flex without creating big internal tables, flexibility of layered modeling, etc. So, I take CDS as much as I can, but make your choice. In CDS does the ORDER BY work??? In table function output, the sorting works but when this is consumed in CDS it isn’t working. Please suggest.